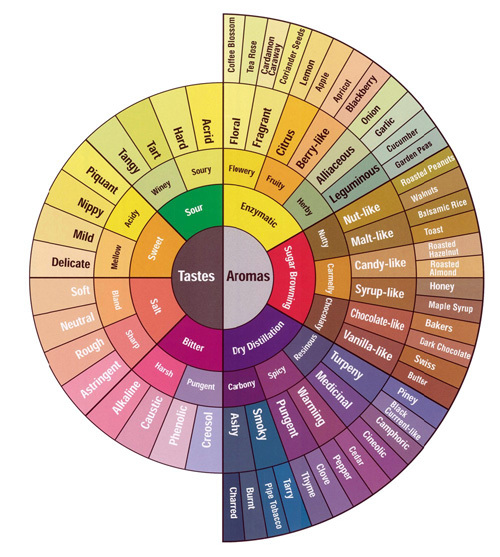 In coffee terms, the finish describes the aftertaste on the palate after the coffee is swallowed. Full-bodied coffee tends to have lingering finishes, while thinner coffees may be fleeting. For example, our Organic, Komodo Blend (Swiss Water Process Decaffeinated coffee from the South Pacific) has a mildly sweet start and a slightly floral finish. To better understand what finish is describing, come to the roastery for a cupping. There you will be able to sample a few of VCC's coffee and learn for yourself how to better understand and describe what about a certain coffee you like and dislike. That way, we can help you find the best blend or single origin coffee for your tastes. In"Swiss Water Process Decaf", "brewed coffee", "coffee vocabulary", "cupping", "finish", "organic coffee", "vienna coffee company"